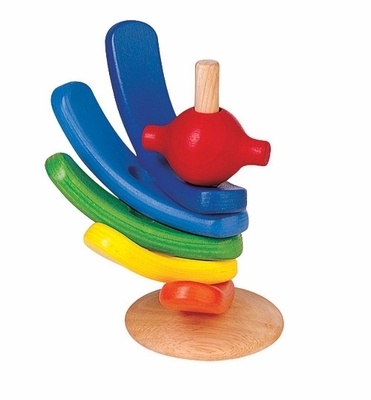 Arrange the five colored arcs on the peg or on the floor. Plan Toys Fun Stacker can be used to sort and build. The soft color tones can also be sorted from cool colors to warm colors.